Currently my Persona 5 hype is very, very high, probably due to the fact that it's almost April (or because I changed my PS4 theme to the Persona 5 one). Thankfully, there were a lot of JRPGs in March to keep JRPG fans busy, in fact more than I could keep up with. What I did play, I really enjoyed. There was the breath of fresh air that was NieR Automata and its amazing story, my addition to Final Fantasy XV continued thanks to Episode Gladiolus and I got a little further into my own personal side quest of catching up on the Kingdom Hearts series by playing more 1.5 HD on PS3. I might not have played all the new JRPG releases this month, but these very different JRPGs I played in March I am overall quite happy with. Here are all the JRPGs I played a little and a lot of in March, before Persona 5 takes over my entire life. Feel free to watch the video version here! It's always nice when positive expectations pan out. 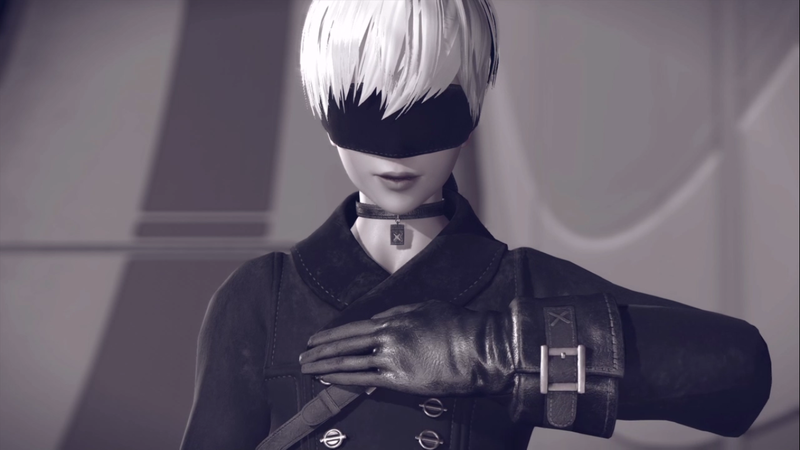 I had the highest hopes for NieR Automata and when I bought it in late February/early March and entered Yoko Taro’s weird wonderful brainchild, it was exactly that - weird, wonderful, unsettling, touching, interesting fun. I made my review after I got ending A and now I'm on my way to getting the other endings. The completionist in me would like to get all 26 endings, but I'll at least settle for the important ones time wise. In short, it's great and is definitely a great narrative I'm still getting enjoyment from. My Final Fantasy XV addiction continued into March and saw me get myself a new Platinum Trophy. I also went on a recipe hunt post-platinum trophy to indulge my completionist tendencies a little and mostly just to hear Ignis say ‘That’s it! I’ve come up with a new recipeh!’. What I've been loving is that now rather than me actively finding the quests on the map I haven't done, XV is now giving weekly Timed Quests that have pointed me in a starting direction in my recent sessions. Thanks to them, I'm at level 101 and preparing to try some of the secret super dungeons and have a weekly reason to jump in, even as I try to play other things. 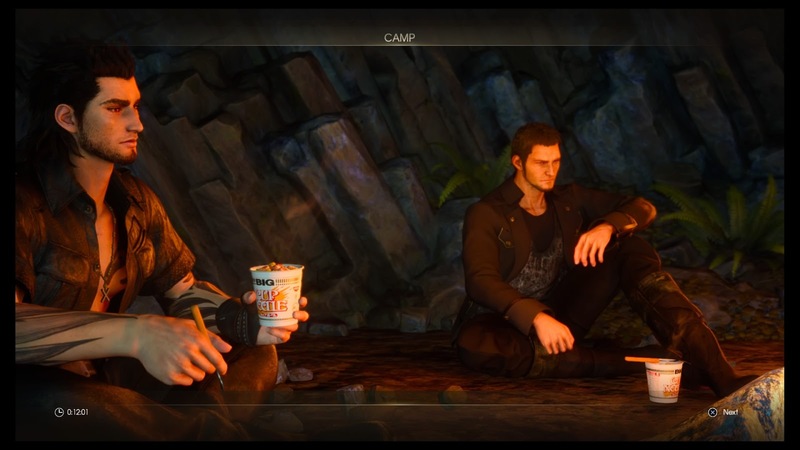 Final Fantasy XV also had its first Episode DLC come out in the form of Episode Gladiolus, which I played and reviewed a few days ago. I was surprised at how much I enjoyed the combat and the story was interesting enough, even if it didn’t tell anything new. I just got the weird shirtless Gladio costume today and may eventually try beat the Final Trial, but I’m personally just even more hyped for Episodes Prompto and Ignis now because Gladio’s Episode was at the very least a good quality experience. 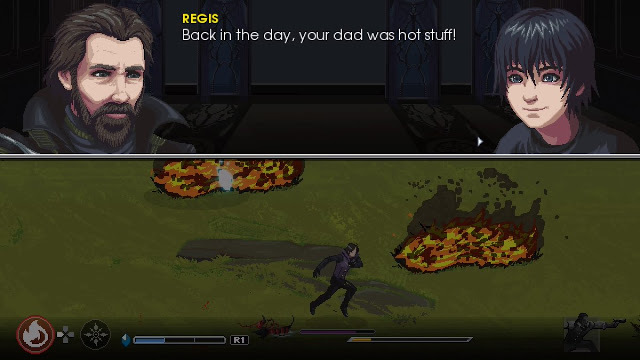 My time with King Regis and his crew in A King’s Tale was a short, but enjoyable one. I'm not a huge player of retro arcade games unless I'm actually in an arcade and I mostly went into A King’s Tale with the hope it would enrich Final Fantasy XV’s story more. It didn't give me the amount of story I was hoping for for, but I had a good time watching the pixel style summons and giggling at Regis’ terrible dad jokes in the few hours I spent with it. Fire Emblem Heroes was the only mobile game I've played this month and I think I can safely say it's my favourite mobile game at the moment. While my luck seems to be going down with my recent hero draws, one of my favourite things to do with Heroes is to use the auto-battle when I'm doing really simple tasks in my day job or editing. I level up and then when I'm ready to actively play, I'm that little bit stronger. I still have a lot of quests I can do to get orbs for the next event but I've been really happy with amount of free items, events and everything Heroes has been offering. As a free-to-play player, I see no reason to stop playing yet. The YS series has been one I've heard only great things about and while trying a demo in a language I only partially know is probably not the best way to experience YS for the first time, it was free and I had some spare time. 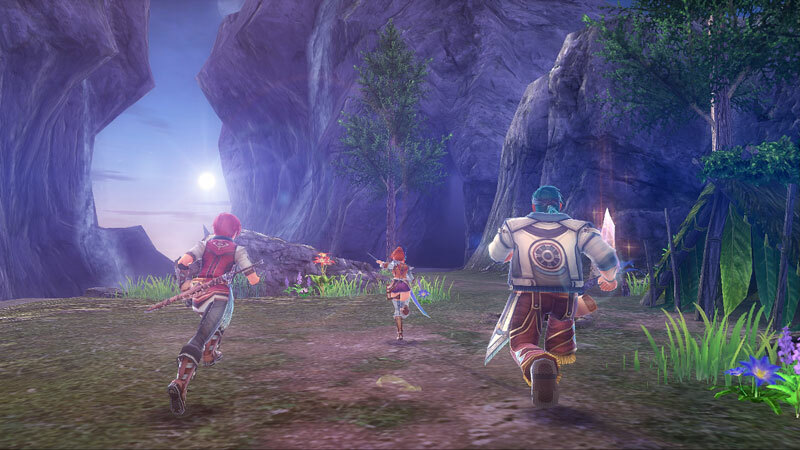 YS VIII seems interesting so far. A thing I really liked just looking at the characters standing together in one of the cutscenes was the good variety of characters. There was a classy looking guy, a strong guy, an old man and it was nice to see because I think a lot games recently have had characters that are very similar in appearance. 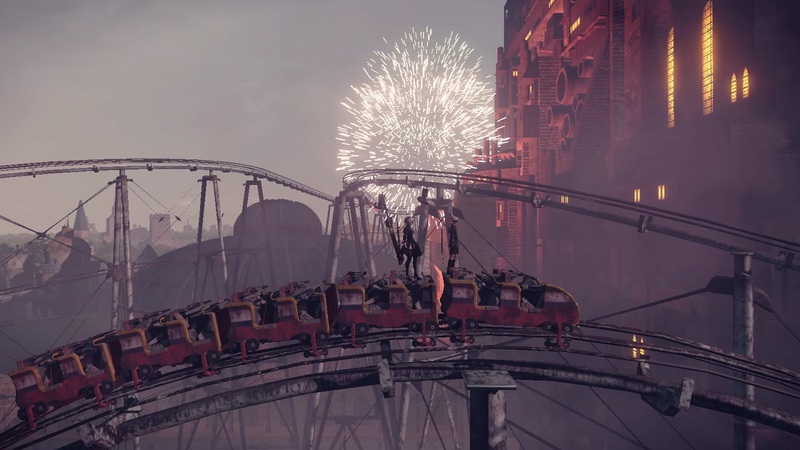 The environments were also pretty and the active combat was really quick and satisfying, but I know I probably won't understand more about this game until I play it in English. It has piqued my curiousity though! 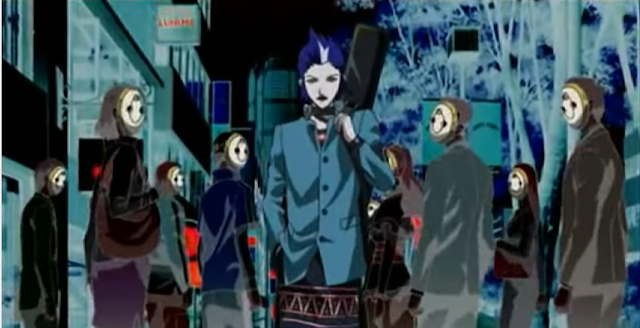 Thanks to NieR, my backlog time was put to the side a little but I did manage to get in some Persona 2 time on my lunch breaks. I'm currently in a dungeon that had a maze that I didn't realise was a maze until I was on the fourth floor which was a pleasant surprise. While I'm honestly not loving it as much as Persona 4, it's still interesting to see the mechanics that influenced the series of a game I adore. I used the period between finishing my NieR review and Episode Gladio to continue with my catch up of the Kingdom Hearts series. Playing as an adult JRPG lover compared to when I first played as a pre-teen discovering the world of JRPGs is very interesting, as I notice myself understanding the game much more easily. When getting gummi ship parts like a Dispel-G, I now understand its use rather than thinking ‘that's a strange word’. I'm just getting into Agrabah now, which honestly I don't remember being one of my favourite places in Kingdom Hearts, but I'm getting excited remembering the story and I’m still fond of the pretty much timeless combat and world full of many funny characters so far. 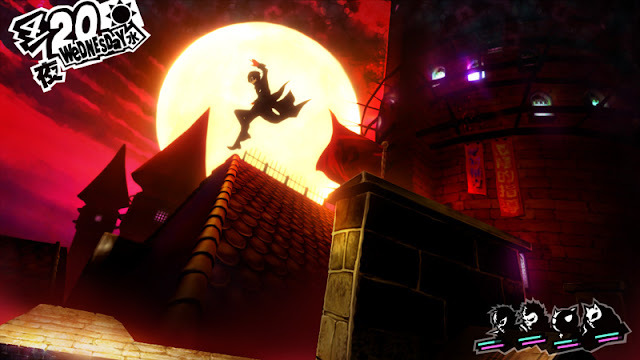 ….I'd love to leave the post there and say that's all I'll be playing in April, but fact is Persona 5 isn't on portable consoles and I have a commute to work that I sometimes don't write blog posts in. My main plan for April like most JRPG fans is to play the hell out of P5 and for my portable console life, I'm tossing up between continuing Persona 2 or starting a non-Persona game on my Vita. In saying that, I'm not comfortable with the idea of quitting a game partway through, so I'll probably play a lot of Persona. If I do end up having any extra playtime in April, I like to think I'll be putting a mix of my time into playing more Persona 5 (I have high hopes!) 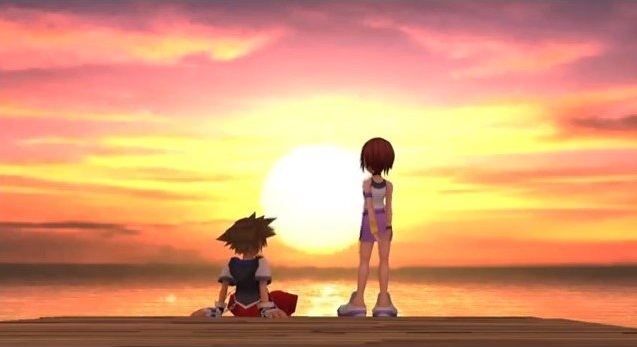 and a little into playing Kingdom Hearts 1.5 - I really want to catch up on what I’ve missed before Kingdom Hearts 3! Most of the games listed in this article are available to buy or pre-order at Play-Asia.com! What JRPGs will you play in April? And what did you play in March?